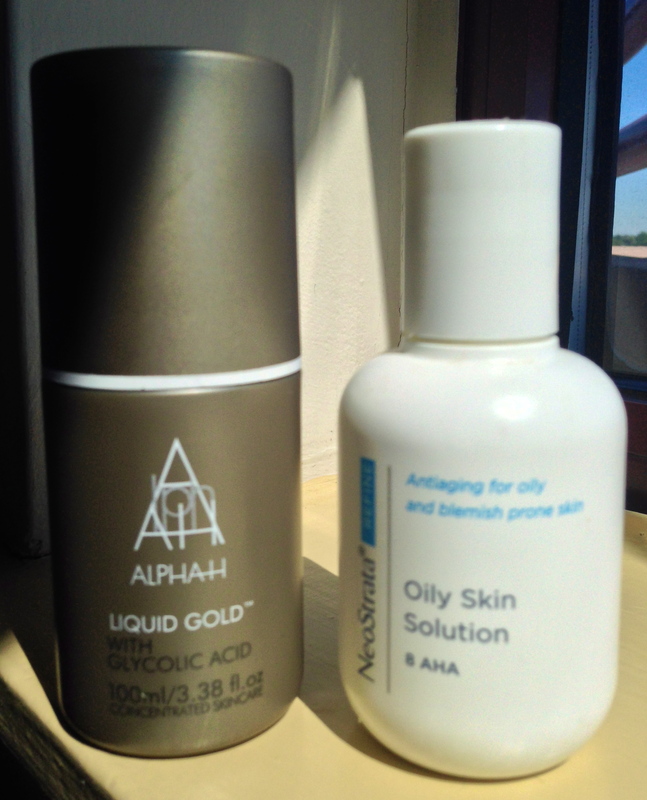 So we have all heard the hype on Alpha-H Liquid Gold and Neostrata Oily Skin Solution. I will share my experiences and results with you. Alpha H Liquid Gold – This product is raved endlessly in blogging world and I’m sure we would all have heard amodelrecommends rave about it. To be honest, Im not very far from giving it 5 stars either. Only reason I wouldn’t give 5 stars is for its availability (mainly online, Australian made brand). In saying so, it has revolutionized the way I perceive gentle chemical exfoliation. I apply it with a cotton pad on my face and get a sheer kick out of how it picks up all impurities from my face. My skin is so accustomed to AHA’s & BHA’s that I don’t feel the tingly sensation anymore (weirdly enough I miss it because psychologically it made me feel product is working its magic!). It dries almost immediately without leaving a sticky feeling. Next morning, my skin feels softer and smoother. Over a period of time I have also noticed it has helped with uneven skintone, skin congestion and pigmentation. However I alternate the use with Alpha H Intensive Night Repair Serum (review coming soon). Neostrata Oily Skin Solution – This product on other hand is 8% Glycolic acid and does tingle my skin. The method of application and results are not hugely different to Liquid Gold. In saying so, the ingredients are a distinction point. Key ingredients – Aqua (Water), Alcohol denat., Glycolic Acid, Propylene Glycol, Ammonium Hydroxide, Polyquaternium-10, Chlorhexidine Digluconate, Polysorbate 20, Tetrasodium EDTA. CRUNCH DOWN COMPARISON – Neostrata is cheaper, easily available in US, Glycolic acid third ingredient listed (8%). Whilst Liquid Gold is steeper in price, available online and Glycolic acid is fifth ingredient listed (5%). The packaging, method of application and results are not hugely different. Perhaps for USA consumers Neostrata is a viable option. For starters, Liquid Gold may be good option as it may not be as strong on skin. However one would have to fork out more moolah! However if you are willing to take a leap of faith with stronger product at cheaper price your bank account and skin may thank you!